The Economic and Financial Crimes Commission (EFCC) will on Wednesday arraign Mohammed Nuraini Adamu, son of former governor of Nasarawa State, Abdullahi Adamu, for alleged money laundering. 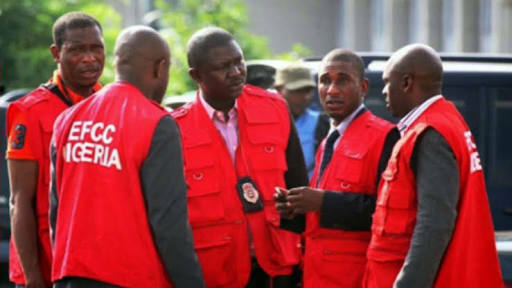 According to a statement issued by the Acting Head of Media and Publicity of EFCC, Mr. Samin Amaddin, the suspect will be “arraigned alongside one Felix Onyeabo Ojiako before the Federal High Court sitting in Kano on a five-count charge of money laundering. The statement said: “The arraignment was sequel to a petition by one Atta Esin, Executive Director of Biolocks Technologies Limited, alleging that Adamu and Ojiako conspired to use his company name (Biolocks Technologies Limited) to execute contract without his knowledge. “Esin also alleged that the contract resulted in the accumulation of withholding tax to tune of N1, 311,519.99. “According to him, the contract worth was N26, 230,399.60 but investigation into the alleged fraud revealed that the actual contract sum was N92, 036,490.